Compassion started work in Bangladesh in 2004. 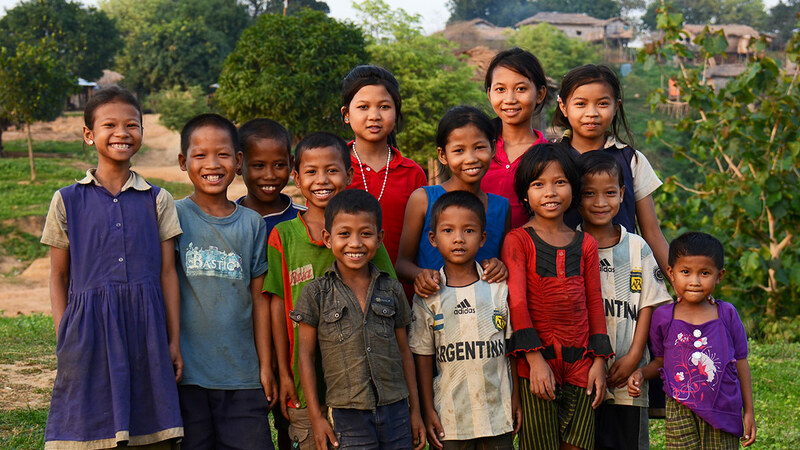 Today, there are over 37,000 children registered in our programs through 160 church partners. I am Michael, the Program Director of Compassion Bangladesh. I have been working with Compassion’s ministry since May 2013. I believe God called me to be the part of this ministry due to my dream to serve the children and churches of this country. The program started in Bangladesh in 2004, and now God has given me the opportunity to take care of more than 37,000 registered children and 240 mothers and their babies with 169 church partners presently. It’s my great pleasure to express to you my hearty thanks and gratitude for contributing in the life of the children to enable them to be the agents of change through the Compassion Sponsorship Program. Your awesome love, wonderful support and prayers for your sponsored child creates new hope for the future. Bangladesh is one of the Muslim countries where Compassion International operates its program. 90 per cent of people in Bangladesh are Muslims. Poverty, low literacy rate, discrimination between boy and girl child, child abuse, child labour, early marriage, and access to health services are some common struggles of the children in Bangladesh. Low income of the parents makes it difficult for them to bear the educational and health expenses of the children. Access to better health services is a serious problem in Bangladesh. The social system and taboos like early marriage, dowry, discouraging girl’s education and child labour are major contributors of the under-development of the children. We have been in the journey of releasing children from poverty for the last 13 years and we hope to continue the ministry here without any disruptions. We would like to see a transformed nation, which could be possible by carrying out the journey of our partnership with people like you, with the churches with increased ownership and enhanced capacity. It is encouraging that churches have become involved to care for their own communities in the form of identifying their need, envisioning and mobilising local resources. We have a desire that our children will not only be safe in the program centres but they will be protected from all sorts of abuse at home and in the community they live in. We have around 5,500 adolescent children who need counselling and mentoring to grow and develop. We hope to design a program for adolescents in such a way that we will create more space for meaningful interactions. I want to share a story of a girl who finds Compassion as a perfect shelter and loving guardian. When she was seven, she lost her father. Her mother and she took shelter to her uncle’s house. They were treated badly by their relatives. The Compassion program centre was the only shelter for this homeless girl as she was a registered child. Within a few years she also lost her mother. The program staff stood beside her as loving guardians; they took all her responsibilities and provided her with a new shelter. Now she is 17 years old and in her final year of high school. She has a dream of becoming a nurse. 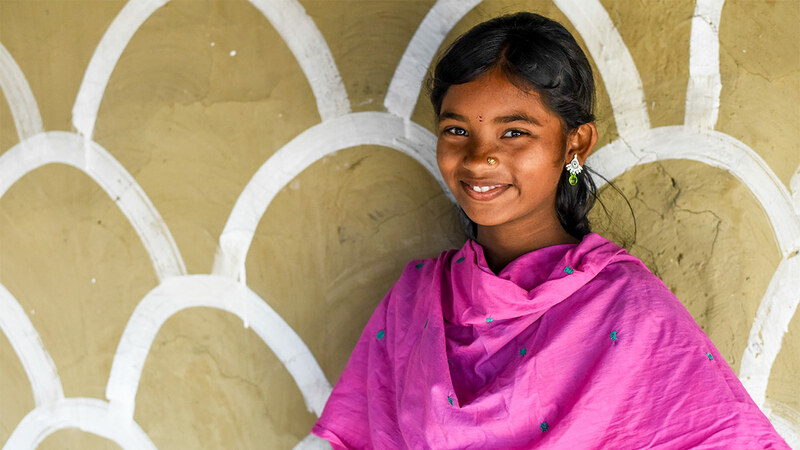 Her dreams can spread their wings only because people like you are supporting children through Compassion. The children are most encouraged when they hear how their sponsors work tirelessly to support them. Every letter is an inspiration for the children, which reminds them there is someone thousands of miles away who cares for them and is always thinking for them amidst their daily challenges. When sponsors tell their children about how they frame their photos and keep them on their office desks, or refrigerators, it makes the children feel special. Your letter is a symbol of love, care, strength, hope, joy and encouragement to the children. Your support and prayers are the pillars of our strength that keeps us going irrespective of the hurdles that we confront every day in our lives. Your support gives inspiration to the field office to work as a team and keep a close watch on the development of the children. Please pray for the ever growing children, the staff and the government of Bangladesh, so that all of us can work together in supporting each other. In conclusion, I would like to extend my gratitude for your great contribution for making the dreams of 37,000 children a reality in Bangladesh. We pray that with your continuous support and God’s abundant blessings, we will be able to see a transformed nation, which will glorify God. In a remote village, high in the hills of south-east Bangladesh, Runi, 10, treads carefully as she climbs the muddy track up from the stream. The basket strapped to her back—its handle looped over her forehead—bulges with the weight of the day’s water, sloshing in a steel container. It’s still early in the morning when she arrives home, but the house stands empty, apart from her sleepy younger brother, Daniel. It’s harvest season, and that means her mother, elder brother and sister stay in the fields to farm. Her grandmother, great-grandfather and father leave early for their own jobs. Runi is in charge of the cooking, cleaning, and caring for Daniel. “Before going to school … I make a dish from wild leaves from the forest for breakfast,” says Runi. It is a common scene in the village for girls like Runi to do the household chores, like cooking. Only if there is spare time do they play poikka, ludo (a board game) and a hop-skip-jump game. Life in the village is difficult in many ways—a trip to the hospital takes around six hours by foot and motorboat—but Runi is surrounded by a loving family. She says she’s grateful for the opportunities the church has given her through the Compassion program. Girls of Runi’s age in this community don’t often get to go to school, she explains, but she now has the same opportunities as Daniel.